Here are the wedding day details - Your guests will arrive at this hillside winery with views of the Napa - Sonoma Valley and lush vineyards just steps away from your wedding site. The bride and her bridesmaid will be preparing for the wedding in the Bombay room which features views of Oak trees and tawny grasses. Your wedding will take place on the lush green lawn over looking the lily speckled pond and the waterfall in the distance. The reception will follow later that evening in the Fountain Courtyard that has been transformed into open air reception site with views of the winery and vineyards. Then you can dance the night away indoors in the Vintners Room. Have your wedding in the world famous Napa Valley at the Nicholson Ranch Winery. We treasure the memories every day of our Nicholson Ranch wedding. View more wedding day highlights from the Nicholson Ranch Winery. Groom pouring wine for his bride at the Nicholson Ranch Winery on the Fireside Terrace with the sun setting on the Sonoma Valley. It was a dream come true to have our wedding at the Nicholson Ranch Winery in Sonoma. 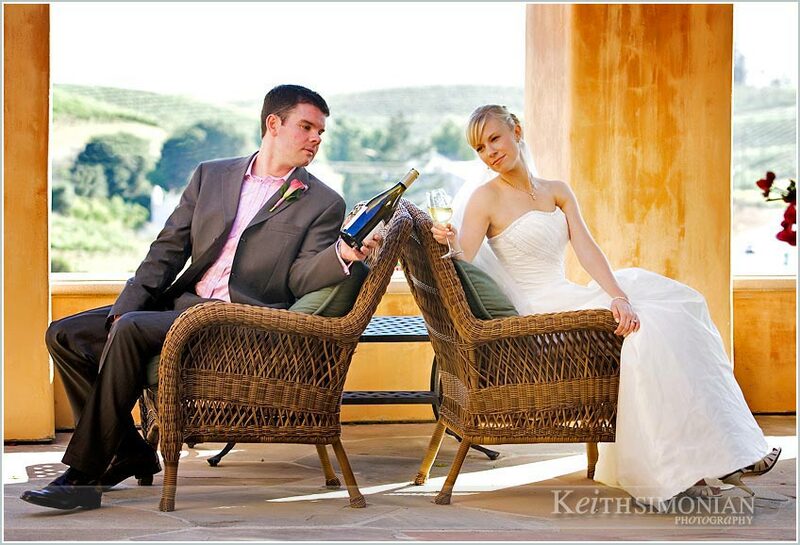 Simply the best venue in the Sonoma Valley for an intimate wedding. Keep up the great work — there isn't another Napa - Sonoma Winery out there with more value for the dollar. Excellent training and professionalism by the staff. Thanks for an amazing wedding day! Special Offer discount applies to 2013 wedding dates only. Conditions apply.